InEvent assists SulAmerica in improving communication and access control at its internal meetings, customer events and corporate trips. SulAmerica is an insurance company founded in 1895 which offers medical, dental, life, auto insurance, among other products. It has more than 7 million customers, over 5,000 employees and a distribution network which includes more than 30,000 independent brokers. 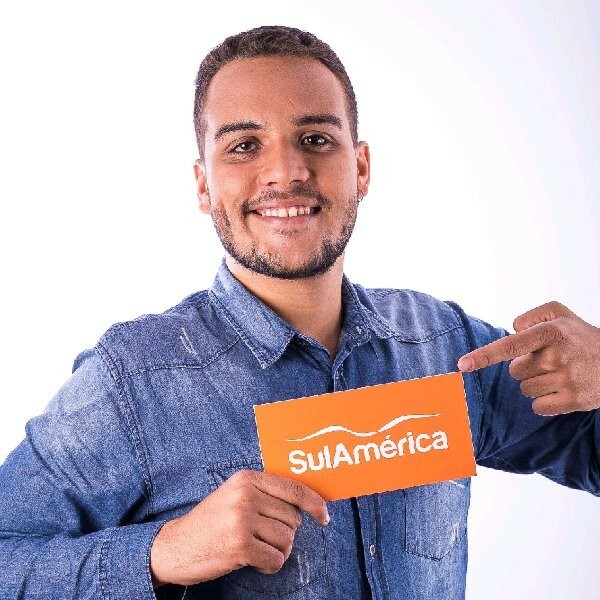 In 2018, SulAmerica held 12 corporate events, differentiating in goals and in number of people. 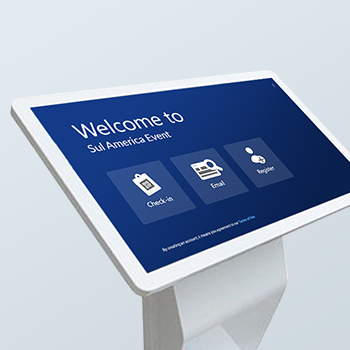 InEvent created flexible solutions in order to make SulAmerica achieve their objective. One of their events was CarreiraCon, which highlighted SulAmerica digital transformation to attending employees. It hosted 200 people and introduced new skills required in the digital world. There were lectures on creativity, personal branding, digital positioning and entrepreneurship. Another outstanding corporate event held by SulAmerica was the New Generation Broker. The event aimed to immerse children of current brokers in the company. They were able to create relationships with potential future brokers. It was the 11th edition of the corporate event and it hosted 40 attendees. As SulAmerica moves forward into the digital era, 2018 was an important showcase year to their employees. SulAmerica needed to provide to its teams and independent brokers a truly digital experience in all of its corporate events. In addition, the event team was aware they needed a solution to manage their multiple events. InEvent team works closely with event organizers and project managers. We provided training and support so SulAmerica teams were able to operate the event platform and event app by themselves. 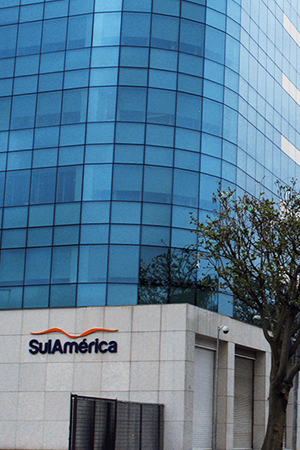 InEvent worked closely with SulAmerica, guaranteeing a seamless operation. Calendar: InEvent Platform provided a calendar containing all SulAmerica corporate events. At the same time, it would sync with each briefing of each event. They could differentiate in the calendar each event by color and number of attendees. 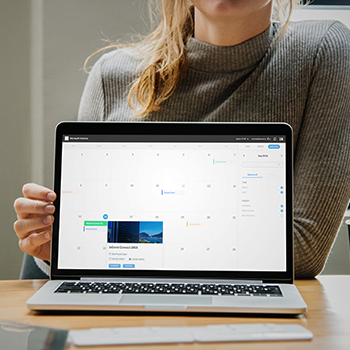 InEvent platform allows the company to filter events by date, budget or organizing agency. 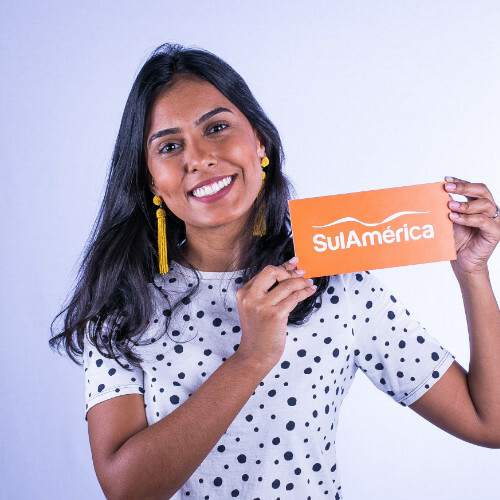 Analytics & Reports: In all corporate events held by SulAmerica, it was possible to monitor all event data through our event platform, such as the number of attendees registered in the event, attendees that actually attended the event, and sponsorship data. It allowed to manage and identify the data through our live dashboard. 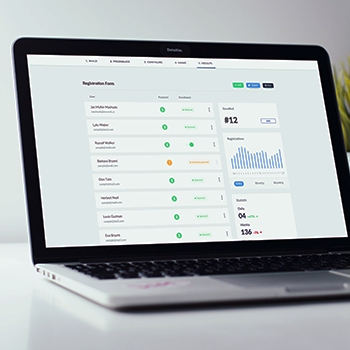 By using InEvent’s live dashboard, SulAmerica could analyze quickly the number of registrations for each event in a set time. With that, they were able to identify the best event marketing strategies. They had the possibility to analyze attendees list for each separate event, knowing who attended the event and in how many events and lectures he or she attended. Reports could be printed and shared by event organizers, allowing analysis of each event. This way, they could compare to previous events and improve in future events. Invites & RSVP: Utilizing InEvent platform, corporate event organizers can create a variety of attendees lists, managing and communicating with their whole database. SulAmerica counted on this feature both to register the attendees for each event and to send invitations, as they could with RSVP. The event attendees only needed to click on a button to confirm the presence in each of the corporate events. Registration of attendees: With the lists of attendees completed, the registration workflow could be flexible per event. While in some of the corporate events the registrations were made directly by importing the lists into the event platform, which supports Excel files uploads, in other events the registrations were made through RSVP invitations and registration forms. InEvent's forms can be customized and used for different purposes. One of the ways, as mentioned above, is the registration of attendees. They can have any number of questions, and it is determined by the company. It will also offer different types of questions, such as written questions, multiple choice, yes/no etc. Support: SulAmerica counted on InEvent’s support for its corporate events. The Customer Success team supported them with any technical questions or standard tickets garanteed by a 6-hour SLA. Some of the corporate events also counted with InEvent Live Support, which provided an account manager or customer success rep at the event, supporting the operation of our technology. Presence and Access Control: Each attendee received a unique and encrypted QR Code for each corporate event. 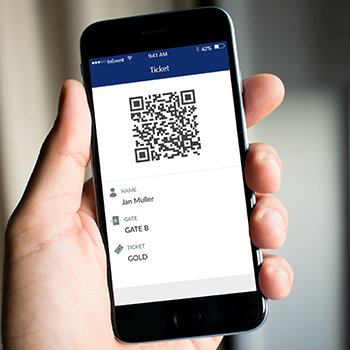 They could access the QR Code on their mobile app and allowed them to access events quickly and safely. For the benefit of recurring events organizers, from the moment attendees accessed any of the corporate events using the QR Code, their data were synchronized with the event platform. This allowed the control of the number of attendees at the events and each individual activities. Self-Service Kiosks: Digitized access control, check-in at events and at their activities, was possible by the use of QR Codes and Self-Service Kiosks. The kiosks were not used in all corporate events, but in those that needed to have precise flow control of attendees. It is a great feature for this purpose. Mobile App: In order to adapt to the digitalization level of its employees' daily lives, in which smartphones are increasingly present, SulAmerica used InEvent Mobile App for their corporate events. InEvent’s event app is a White Label App. Thus, the event app was customized and named SulAmerica Events. Within the event app, it had the list of all the corporate events happening in the year of 2018. While the sessions of some of the events contained basic informations, such as event agenda and general information, others also provided information about flights, itineraries and QR Codes. Agenda: With the event app, every attendee was not only able to access events schedules, but also customize their own agenda. Event organizers were set as administrators in the platform and could make an activity visible for everyone or only for a selected list. News feed: With the event app news feed SulAmerica mobile app communicates to their attendees in a similar form-factor as other social media platforms. Attendees of SulAmerica corporate events could publish texts, photos in attendees’ photo gallery, videos of up to 100mb. In addition, this increased interaction between participants. Push notifications: With the possibility of sending push notifications to the attendees, SulAmerica event organizers were able to share information in real time with all attendees or with a segmented group. Website: With the InEvent platform, corporate events can have their unique and customized websites tailored to their needs. Completely secure, the websites are used mostly before the event to share information, conduct ticket sales, and register attendees. 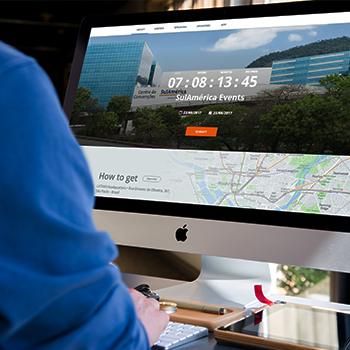 Most of the corporate events held by SulAmerica developed their communication through the event app. However, one of the events required sharing more information and a website was used. Texts, images, videos, files, and presentations could be shared on the website, which was synchronized with InEvent’s platform. Therefore, whenever event organizers edited the platform, the website was automatically updated. Surveys: SulAmerica event organizers were able to conduct surveys to evaluate attendees' opinions about the events. The surveys were sent to all attendees at the end of the event or activity. Through the event app provided by InEvent, attendees responded to predefined questions.